The fact that Macau is the world’s biggest gaming market is something that simply cannot be denied. This Special Administrative Region of the People’s Republic of China left behind Las Vegas in the year 2006 and its revenues are now more than 4 times those of Las Vegas, an achievement that is sure to leave everyone astonished. And it is just the beginning of what the future might bring. Most people are not aware that for over 400 years, Macau was regarded to be a prosperous market for gaming. Gaming according to the regulators in Macau was very much alive dating back to the 16th century and it was led by Chinese. It was in 1847 that Portuguese Macau Government regulated the business. In those days Fantan was the most popular game. In 1930, Fok Chi Ting’s company Hou Heng received the very first monopoly. While in 1937, the second was awarded to Tai Heng, a company that was owned by Kou Ho Neng and Fu Tak Long. However, it is without any doubt Stanley Ho, who stole the limelight in Macau. For the majority, Macau is all about Stanley Ho. At the time probably more than a quarter of Macau’s workforce worked indirectly or directly for Dr. Ho. With the expiry of monopoly of Tai Heng on December 31, 1961, a young, upstart company named STDM won the public bidding procedure and was awarded the license, thereby stopping Tai Heng from proceeding further with its operations. Four men had established this company – Teddy Yip, Yip Hohn, Henry Fok, along with a young and handsome businessman of age 40 called Stanley Ho. This company had a 40 years monopoly concession. STDM had eventually to suffer similar fate to that of Tai Heng company after its 40 years of monopoly business. But meanwhile times had changed and Stanley Ho and STDM did enjoy better fate, even after losing the monopoly. On May 18, 2004, a great day for Macau’s history, Sands Macau, the first non-Stanley operated casino after 42 years, began its operations here. Later, Galaxy Casinos (Rio, Waldo, President, Star World, Grand Waldo, Galaxy Macau), the two sister casinos of Sands – the Venetian and the Plaza, Wynn, MGM and the three Melco Crown casinos (Altira – formerly Crown, City of Dreams and Taipa Square) followed suit. Along with it the 20 and more Stanley operated casinos continued their operations as well, but now through SJM, a subsidiary of STDM. The boom in the gaming industry of Macau can be credited to the astonishing economic growth of mainland China and liberalization. Chinese, who flock in thousands on an average daily, is what has made it possible for Macau to stand where it is presently. Visitors from Hong Kong comprise about a third of the visiting population, however, they are not considered big players. 60% of visitors from mainland China produce over 90% of all actions witnessed on the Macau gaming tables. Average stay here is just about 1.5 days. According to experts, more than half of the visiting population from China does not stay overnight. The reason is that the Chinese border gate with Macau closes from midnight to 7 am. This compels the players from that country to be on a specific mission, which is to reach the casino quickly, play very hard and get out fast. If some maths is done, then about 80,000 people visiting the country each day and staying 1.5 average days makes around 120,000 visitors on average at any point in time and much more is estimated in weekends. However, with 24,000 hotel rooms only existing in Macau, the question is where does the majority of the visitors stays? Some are said to put up at a unique Chinese phenomenon called sauna. However, there are just 28 saunas available to visitors in Macau. The reality is that many play at the casinos all night long. They do not want to sleep, they came here for a passion and they want to be thoroughly entertained, they want to feel, they want to fight, they want to challenge and be challenged. Nowadays most of them, about 90%, find all these emotions on the baccarat tables. Fueling the glittering casinos of Macau is an informal and somehow unregulated financial system known as junkets. They are said to control everything and are rightly termed to be the boom’s lifeblood. It is widely accepted that Macau would not be anything without them. They are concierges, travel agents, credit providers, marketing executives, customer relation officers, banks, pseudo-casinos etc. They can go deep inside China to recruit gamblers, bring them to Macau, lend them money to bet with—and later handle the sometimes-messy business of debt collection. In the past, the junkets had made plenty of bad press, of which most is unfair. The line that was drawn between ‘unsavory characters’ and ‘junket men’ was quite thin or even non-existent in several cases, is now no more prevalent. Junkets are now legitimate businesses, some are even listed in the stock exchange of Hong Kong. Presently, they play a very crucial role and without them, there is no Macau. Has the boom helped the Macau locals? 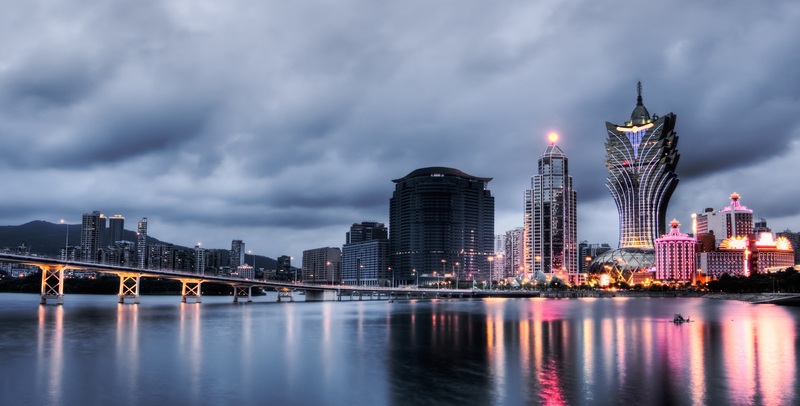 Yes, with Macau having very low tax rates, citizens of Macau have been able to receive about US$750 annually as cash social dividend that is provided by the government, in the last couple of years. Moreover, unemployment stands at just 2.4%. Employers are known to hire Macau locals stating that they do have a heartbeat. The wage explosion here has made kids to earn more than ten times of what their fathers had earned during their days. Macau citizens’ per capita GDP presently exceeds the Hong Kong counterparts, placing them in a position simply unthinkable only five years ago. Macau is doing indeed very well when it comes to economics. However, this country has really boomed tremendously to a point that some think that it might crash soon or just get stagnant. It is not possible to keep sustaining every year a growth of 35%. At the contrary others debate that the present growth is nothing, and more is yet to come. Macau can grow much faster in the coming years driven by the growing welfare in China. China recently has been experiencing a burgeoning middle class which now stands at about 150 million people and within the next decade it is expected to grow at around 300 – 400 million. It is the thriving eastern seaboard, where majority of this population dwells and very close to the new CRH (China Railway High-Speed) network. CRH is growing quickly and is massive. China according to experts very soon is likely to have plenty of rail tracks of high speed capacity, much more than all the rest of the world when put together. Therefore, citizens from any part of China will be able to easily and conveniently travel to Macau. Some estimations for the 2020 gross gaming revenues of Macau foresee a staggering US$250 billion.